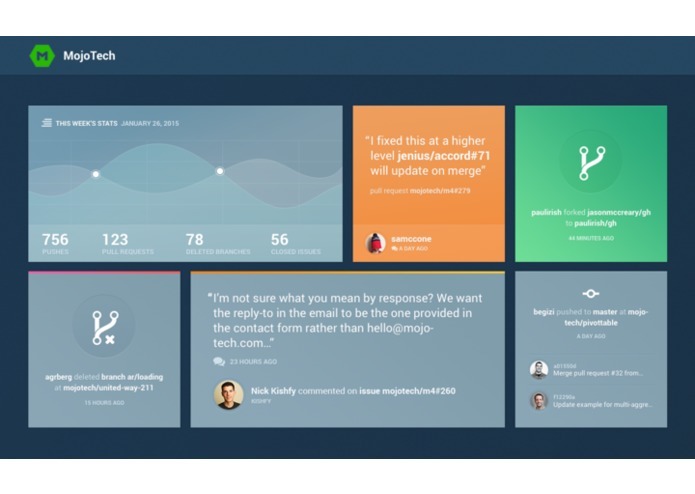 Feedbag is a flexable, simple, and highly configurable, Github Dashboard. New widget can be added to the dashboard by simply adding a template to the templates/ directory. The config options at the top of the templates define which github event triggers that template to render on the client. Feedbag will have a server and client component. The server will be written purely in Go and compiled down to a distributable binary. The setup process will be as easy as configuring the config file to point to your database, editing the included default .tmpl files, and starting the server. Feedbag has a DSL which includes many/all of the github event types, variables, and aggregations available to use anywhere in the html portion of the template. With our large pool of available functions and variables, any combination can be used in the templates conditional configuration option to render that template when it is met.